Pastor Joe Henson grew up in a pastor's home on the island of Guam, in the south Pacific. Throughout his childhood and growing up years he attended Christian school (Harvest Christian Academy) and was active in his local church. Later he graduated from Bob Jones University with a BA in Bible and a minor in Creative Writing. Following his undergraduate studies, he studied at both Northland International University and Bob Jones Seminary and earned a MA in Pastoral Studies. 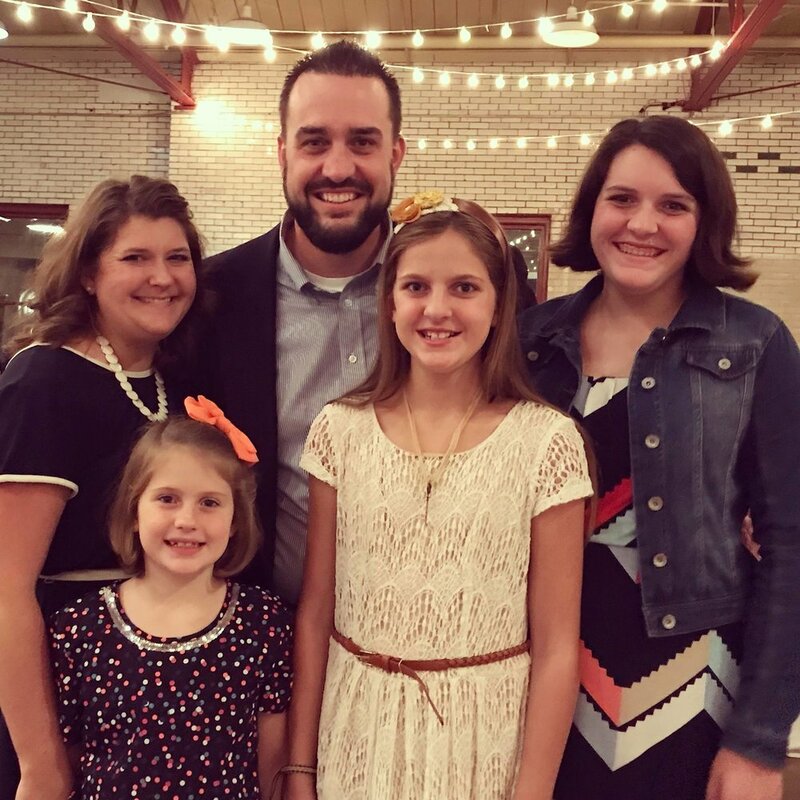 It was during his college years that he trusted Jesus Christ as his Savior and met his wife, Kristi, who also graduated from BJU with a BS in Elementary Education and an MA in Counseling. Like Joe, Kristi was reared in a godly home. Far from the Pacific, though, she grew up in the hills of West Virginia. Over the years, Pastor Joe and Kristi have served the Lord together in camp ministry, Christian education, itinerant evangelism, and pastoral ministry. and an increasing burden for and commitment to reaching and making disciples of the lost and dying in our community and the rest of the world. It is their utmost desire that God would be glorified in everything that is done here at TBC, that God’s people would be shaken from the all-too-common state of complacency that plagues the church of Jesus Christ today, and that a “culture of grace” would flourish in every aspect of the church’s ministry to saved and lost alike.